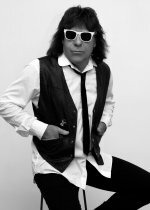 Phil is the founding member of Heartbeat City and has a solid background in the music industry. He has been part of two different high profile National Level Tribute acts and also has a few Major Label recordings to his credit. Born and raised in New York, he had an active career performing and recording with some of New York State's top bands. He signed his first Major Label recording contract at age 17. He has been signed to five different major labels, and has worked with big name record producers. He has also taken private study with some of the leading drum teachers in the industry. In the 80's he was part of the band Mastedon and recorded two successful albums with them: It's a Jungle Out There, and Lofcaudio. The band included former members of the bands Kansas, Pablo Cruse, Foreigner, and other major acts. He has three Gold and one Platinum albums to his credit. He also recorded on the soundtrack album to the 80's movie classic St. Elmo's Fire. He has done many one off recordings with well known musicians and appears on a number of albums and compilation albums just too numerous to list. Phil was an endorser for the Ludwig Drum Co. for 15 years. He has also endorsed for the Paiste Cymbal Co. He is currently an endorser for the Peace Drum Co., Amedia Cymbal Co., Hotsticks Drumsticks and Prentice Practice Pads. He has appeared on TV, live Radio, and Movie Soundtracks. He has appeared in Modern Drummer Magazine and in National/Worldwide advertising campaigns. He has toured extensively in the US and Canada, and also in Europe and the UK. His work with Tribute acts includes: Hotel California a Salute to the Eagles, and Get Back with the cast of Beatlemania, which included members from the Broadway cast and the Movie. He has also done many one-offs with tributes to Journey, Tom Petty and others. California born Jamie Rio started to play music at age 11... by age 16 his band Deuce was opening for groups like Van Halen at Pasadena Civic Auditorium. Shortly after that he landed a Major Label Record deal with Brazil's Som Livre Records and began writing songs. His band Backstreets, entered the South American Billboard Magazine top 10 with their single "Spend Some Time With You"... After touring and recording in Brazil he returned home to LA and began writing songs with Epic Records band Shark Island. He then formed a new band and recorded an album using Shark Island guitarist Spencer Sercombe who later became second guitarist for Michael Shenker. Jamie has never played in a Tribute, but decided if he did... they would have to be best in their field; that band is... Heartbeat City. Jamie adds a very authentic re-creation of Rick Ocasek's quirky vocals and look. A California native, Don E. was bitten by a virulent Rock and Roll bug and he's not cured yet! ...He studied at Musician's Institute and played all the well known Clubs on the Sunset Strip that brought many musicians to fame. After Recording a number of Albums and coming.... this close...he took up Tribute and can be found...Guitar in hand..honoring his heroes on Stages all over the Country. 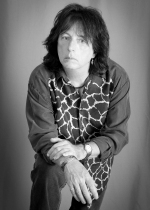 He especially respects Elliot Easton and is proud to pay homage to his amazing talent. He is a valued member of Heartbeat City. From the day he refused to step offstage at the end of a first-grade choir recital, to his "grown-up" work with dozens of Southern California bands, singer/songwriters, and recording artists, Andy Catt has shown himself to be a lifelong entertainer and a talented, versatile performer. A multi-instrumentalist, Andy is equally at home in front of the microphone as he is behind the bass guitar. In his home town of San Diego, Andy was well-known in the music scene there, playing with numerous bands, most notably progressive rock trio American Steel, whose recordings were released internationally. He made the move to Los Angeles in the mid 90's to pursue his interests in music, photography and film, and quickly established himself in that music scene as well. 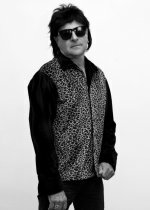 Andy's many credits include work with rock group Lunden Reign which toured extensively throughout the United Kingdom; progressive rock band Lobate Scarp; international singer/songwriters Gilli Moon and Marina V; The Knightsbridge Theater Company; as well as Rod Stewart tribute band Atlantic Crossing, and Linda Ronstadt tribute Different Drum, just to name a few. Andy is also a sought-after session player and has done recording work in many studios, including the famous Capitol Records and Abbey Road studios. 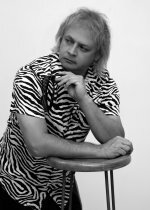 As a fan of The Cars in their heyday, Andy never dreamed he would someday be recreating the look and sound of Cars bassist/vocalist Benjamin Orr. As bassist/vocalist for Heartbeat City, Andy is well aware of his responsibility to honor and respect the memory of the late Orr. Andy wants everyone to know that he has dedicated his live performances to that great songwriter and performer. Mark Adame is a native Californian born in the San Fernando Valley. He came from a musical family and began studying classical piano as a child. His musical influences are varied. He began his Tribute career in a Tribute to the band Kansas... which allowed him to exercise his skill as a keyboardist. 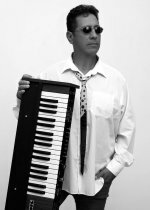 He then joined another Cars Tribute called "Let's Go"... before moving on to take over the keyboard slot in Heartbeat City upon the departure of the band's original keyboardist Mitchell Sigman.